You may have noticed we are revamping our line. Remember when we took back all those pink swords at the end of 2017/beginning of 2018? We did that because they weren’t moving off pegs at a lot of locations. 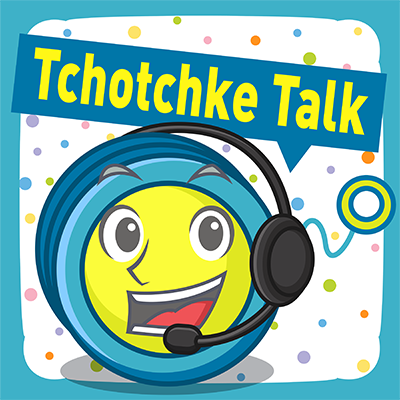 We listened to you, our customer, and took the steps to course correct as quickly as we could. For the last couple of years, we’ve heard our line needs a revamp. Your feedback means a lot to us. In order to help you grow more by wasting less, we have taken note of your comments, engaged with our manufacturers, and used our Product Index — which allows us to rank all the items in our product line — to help us revamp our product line. Why Are Items Being Discontinued? 3 | We’re buying the item from a different manufacturer than we were before. In this case, that item will have a new SKU number and new packaging. Not to fret! Here is your replacement list for those items. Don’t see your item on this list? Save this link. ☝ We’re updating it weekly when new product replacements become active on our site! In finding replacement items, we made certain we picked new products that meet the need of a theme, a display type, and a ticket value so you don’t have major gaps in your redemption area. 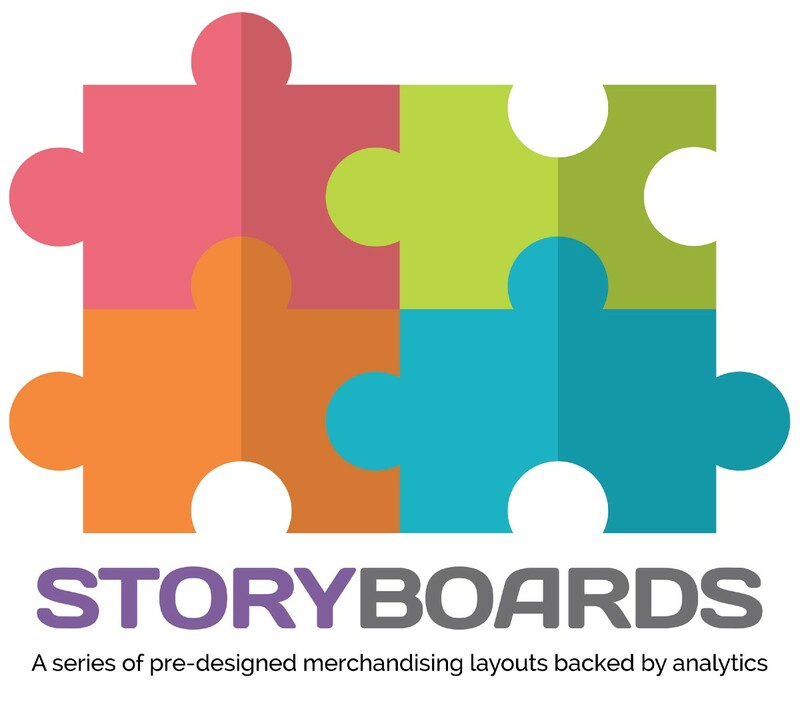 Starting in January, we will be releasing a new line of Storyboards. These pre-merchandised assortments help you choose products that remain in our Core (these are your sure-bet items) and will also include new items that supplement the Core assortment. As always, we will also include licensed and/or seasonal items in the Storyboards to round out the offering to your Players. As refresher on what our Product Index measures, we use two main parameters to vet an item’s success. Distribution is the number of Redemption Plus customers who have purchased the item within the past 365 days. This metric gives us a good grasp on how popular the item is among our customer base. Velocity is how quickly an item is re-ordered. We calculate it based on our revenue from the item then divided by the total number of customers who’ve ordered it in the past 365 days (distribution). This metric tells us whether or not the item is priced where it should be and if it is popular among end users (that’s your guests). 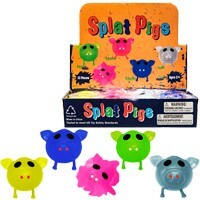 An item that demonstrates the use of these metrics really well is Splat Pigs. These Ooey Gooey prizes indexes high in both distribution and velocity. Their consistent high ranking in both metrics over a long period of time has allowed Splat Pigs to move into what we call the “core” assortment portion of our line. 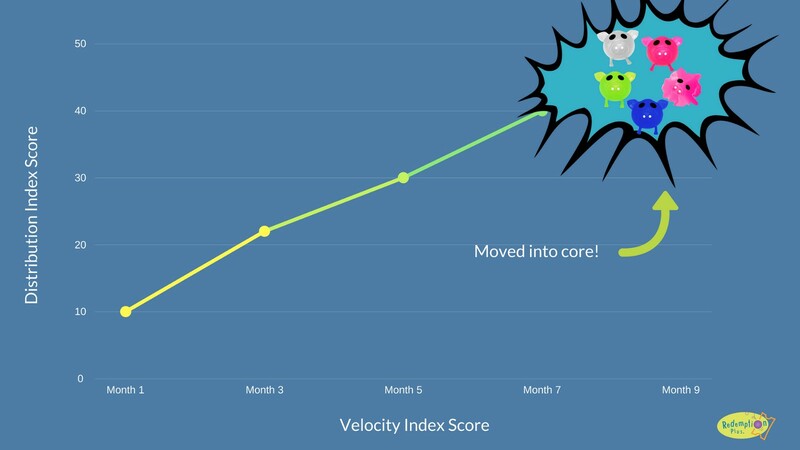 Our Core Products make up the top performing items in our line proven through distribution and velocity. Performance data tracking shows these prizes are a sure bet among your guests and are a must-have for any redemption assortment. We are constantly analyzing each item’s performance to ensure your center is stocked with the best. If Splat Pigs’ metrics begin to slip consistently, they would exit our Core ranking and if they continued to under-perform, they may be discontinued.